The beer market has shifted in New Zealand, and there’s a few things you should know as a consumer. What’s actually in the beer you’re drinking? What size drink will you get at a bar and how many of those high strength beers can you drink before you’re over the limit? We answer these questions and reveal scores for 7 home brewing kits. The trend of beer drinkers turning to “craft” beer has meant a completely new nomenclature to get used to, but also a subtle change in culture. Many bars now serve beers, made by boutique breweries on a smaller scale, or at least big brewery imitation-craft beers, such as Crafty Beggars, Boundary Road, or Monteiths. Where previously we solely had draught lagers now we have a variety of styles: from pilsners to chocolate oatmeal stouts to mango, chilli, and Vietnamese mint pale ales… walking into a bar can get very confusing. Simply looking at what is on tap can be confusing. Here we’ve listed a number of popular styles to give you an idea of what to expect. Lagers and pilsners are lighter beers made with different yeast to ales. Lagers tend to be crisper while pilsners have a softer flavour. Most mass- marketed beers are lagers. As these beers tend to be easier to drink, this is the style to start with if you’re experimenting. Stouts and porters are dark beers with strong malt flavours. Often they will have notes of coffee and dark toast. Generally, these darker beers have a higher alcohol percentage. These beers can be nicer consumed at room temperature or on a hand-pull at the bar, so don’t be surprised if you get served a “warm” beer. In recent years, some brewers have experimented with creating hoppy stouts and porters. And if you want to get adventurous, adding a scoop of ice cream to a chocolate stout makes a great float. Sours are beers made by a different fermentation process, usually using “wild” bacteria or yeast; this gives the beer a sour flavour. The term sour beers cover a wide variety of styles but can generally split into two groups. The most common are very light with strong, citrusy- sour flavours and usually less than 4% abv (alcohol by volume). This includes the popular Berliner-wiesse beers. The other, less common, sours are made by barrel-aging. These tend to be darker with a stronger flavour and much higher alcohol content. These barrel-aged beers are also perfect for aging at home like wine. Imperial beers, sometimes known as “double”, are beers made in various styles, but most often found as stouts. They use more ingredients but the same amount of water, meaning the alcohol content is higher, averaging around 8-9% but can get upwards of 15%. As there aren’t many imperial beers made as part of a regular line-up, we suggest you just check your local bar and drink responsibly. Beer can pretty much be made from any grain (and historically has been). Changing the grain changes the flavour, colour and mouthfeel of a beer. Wheat, rye and oatmeal are the three most common grains that brewers will use instead of malted barley. These give a soft texture to the beer. Breweries sometimes add lactose to beers. This gives the beers extra sweetness (lactose is a sugar that isn’t eaten by yeast), as well as a slightly creamy texture. It used to be a rare practice, appearing mostly in milk stouts, more recently lactose has shown up in IPAs (sometimes called “milkshake IPAs”) and sours. This is something to be aware of for those with allergies (see below). The vast range of beers available is already confusing, the confusion increases when beers are mislabelled. The words "East India Pale Ale" adorn every bottle of Tui. It's a throwback to the original strong and bitter beer called Wagstaff's IPA, but the current version of Tui is a pale lager. The claim is reiterated on the Tui website (“Sometimes scoffed at for not even being an East India Pale Ale by ‘modern standards’…”). With the influx of new craft beers and all of the new popular styles, this can be incredibly confusing to consumers not to mention a potential breach of the Fair Trading Act. We asked DB to comment but got no response. DB also produces beer in its Monteith’s range marketed as a Radler. A traditional Radler is a low alcohol light beer with lemon-lime flavour added meant as a refreshing drink. Monteith’s version is 5% abv, much higher than any drinker would be expecting. The Reinheitsgebot, also known as the German Beer Purity Law, set beer ingredients in 16th century Germany to only include malt, hops and water (it was written before yeast was known as an ingredient). However, these days brewers are adding all kinds of interesting ingredients from chilli to chocolate to seaweed. And that doesn’t cover the array of fruit juices used in new beers. These new ingredients have the potential to set off a number of allergies. Annoyingly many beer labels do not list the ingredients. For example, as mentioned above, lactose is added as a non-fermentable sugar. Unlike the UK, there is no official measure of a pint in New Zealand. In fact the Ministry of Business, Innovation and Employment advise that: “The use of Imperial measures (eg, 'pint') for trade is illegal, so avoid using this term.” Most New Zealand bars use a 425-473ml glass closer to the American pint than the Imperial. So if you go into a bar and ask for a pint, know that it is only a colloquial term here and you cannot expect a larger size. With the increase in higher alcohol beers, more bars are offering half pints. These glasses can range in size from 250-300ml and offer consumers more choice in how they’re drinking. So 500ml of 5% beer is: 0.5 x 5 x 0.789 = 1.97 standard drinks. This is a good number to have in mind while drinking as most beers hover around the 5% mark. If you were drinking the same amount of a 10% abv Imperial stout this number rises to 4 standard drinks. This is why half pints are a good idea. Home brewing is going through a renaissance in New Zealand as better beers and better brewing supplies have become available. We looked at 7 brewing kits, from supermarket-level “can kits” through to more complex kits that require extra hops. Become a paying Consumer member to see this table. We brewed each kit on a Mangrove Jack’s Traditional Series Starter home brewery. We brewed each kit exactly as described in the provided instructions. Instructions were evaluated on how easy they were to follow and read, were they easy to keep while fermenting, and how they compared to "good practice". Ease of use was based on how simple it was to get the extract into the fermenter and then finish the brew. This included measuring hot and cold water. Beer quality was a subjective test when tasting after the suggested bottling period. The number one thing you do when brewing is cleaning. Any small infection can grow to ruin your beer either in the fermenter or in the bottles. After cleaning and rinsing with detergent you need to rinse all equipment with steriliser. It’s a laborious process but necessary to make good beer. 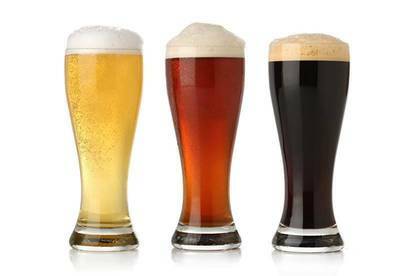 There are a number of different beer styles being made in our test. APA stands for American Pale Ale, a beer made with American hops. These tend to have strong resin flavours. NZPA is a New Zealand Pale Ale, made with New Zealand hops, which aren’t as strong but still have a sharp bitterness. The draughts are basic ales. This large kit comes with just over 20 litres of wort (the liquid containing all the sugars from the malt and hops from the boiling stage of brewing) with Gladfield malts and NZ hops, (Nelson Sauvin, Kohatu and Cascade). The pack also comes with yeast to pitch and hop pellets to add later in the process for extra hop bitterness, giving you a lovely pineapple fruitiness in the beer. As there’s nothing much to be done when brewing, the instructions and process are simple. While it’s the most expensive ($1.77/pint) the beer is certainly worth it. Availability: Only available from Baylands brewing online store. This can kit comes with one tin of malt and hop extract; you’ll need to add 1kg of brewing sugar (dextrose) or another “brew helper”. To brew, you need to melt the extract inside the can, before adding it to the fermenter. This kit made the darkest coloured beer with a nice malty flavour. While not a spectacular tasting beer it was very drinkable and only $0.52 per pint. This kit comes with two foil packs of malt and hop extract; you’ll need to add 650g of brewing sugar (dextrose). To brew, you need to melt the extract inside the foil packs, before adding it to the fermenter. This kit comes with quite detailed instructions about various factors when brewing. The beer was a lot sweeter than we expected but still has a lot of hop bitterness, though it is the second most expensive at $1.04 per pint. This can kit comes with one tin of malt and hop extract, you’ll need to add 1kg of brewing sugar (dextrose) or another “brew helper”. To brew, you need to melt the extract inside the can, before adding it to the fermenter. We noted that this can kit was the only one that told us to remove the label instructions from the can before starting. This kit makes a beer similar to Lion Brown, which could certainly stand to be a bit maltier. While not a spectacular tasting beer it was drinkable and only $0.43 per pint, the cheapest in our test. This can kit comes with one tin of malt and hop extract, you’ll need to add 1kg of brewing sugar (dextrose) or another brew helper. To brew, you need to melt the extract inside the can, before adding it to the fermenter. This kit makes a beer similar to Corona and tasted just as nice when lime was added to the finished product. While not an amazing tasting beer it was drinkable and only $0.45 per pint. This can kit comes with one tin of malt and hop extract, you’ll need to add a 1kg can of Blackrock Ultralight malt extract (or similar). To brew, you need to melt the extract inside the cans, before adding them to the fermenter. Unfortunately, there was an issue with this brew that may have been caused by an infection in the fermenter; as such, the beer was not drinkable. We have not included Beer Quality in the final overall score. This kit comes with a foil pack of malt and hop extract, you’ll need to add 1kg of brewing sugar (dextrose). To brew, you need to melt the extract inside the foil pack, before adding it to the fermenter. This kit comes with quite hard to read instructions due to small print and the use of red text on a green background. The beer was a lot sweeter than we expected but still had some hop bitterness, still only $0.57 per pint. As you can see by our price per pint calculations, even the most expensive brew kit makes some very cheap beer. The Baylands NZPA wort kit costs $75 for the pack and (excluding the cost of bottles and the fermenter) works out to roughly $1.80 per pint. The kit makes a nice hoppy pale ale, that wouldn’t win awards but was pub quality. A fair equivalent might be Mac’s Three Wolves Pale Ale that retails for roughly $14 for a 6-pack or just over $2/bottle. We measured price per pint using American pints (~473mls), so using this measure, the Mac’s would be roughly $3.35 per pint. At the cheaper end, the Brewtec Draught kit made a simple slightly darker NZ draught ale for $0.52 per pint. A case of 18x330ml cans of Double Brown retails for $25, or roughly $1.99 per pint. The home brew is practically a quarter of the price! Most brew kits told us to sprinkle the yeast over the brew (called “pitching”). While simple, this may not give the dried yeast the best shot at life in your beer. Instead, mix the yeast slowly into a small amount of warm (roughly 20°C) water or even a sample of your brew, for a few minutes just to get the culture up and running. Then pour this mixture into your brew. Temperature is incredibly important to yeast and hence temperature control while brewing is essential. If the brew is too cold, fermentation will be slower. Too warm and the yeast may start to create unwanted chemicals and flavours. Most of the kits we tried required you to add hot and cold water so you needed to be careful of the temperature when pitching the provided yeast. Adding finings to your beer roughly two days before you bottle should give nice clear amber beer. We used the Mangrove Jack’s finings provided in the kits as well as Isinglass finings. Of the two, the Mangrove Jack’s finings worked much better. If you are dry hopping your beer (adding hops during fermentation) then we recommend using a permeable bag as the dried hops will disintegrate into your brew and need to be removed later. One of these bags is supplied with the Mangrove Jack’s Columbus APA. Many home brewers use a “bottling bucket” instead of bottling directly from the fermenter. Essentially this is a container the same size as your fermenter that you siphon your brew into before bottling. This step will cut down the amount of sediment in your beer and allows you to mix in a priming solution instead of adding priming sugar to each bottle. 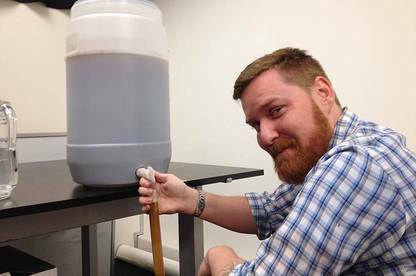 Michael Donaldson is an award winning beer writer. In his book Beer Nation, which chronicles the history of beer in New Zealand, he uncovered this description of Speights from journalist Pat Lawler in 1964: bitter, austere, “mighty and mystic”, with a strong hop character. Lawlor said it was so strong and bitter that he was forced to turn it into a shandy to make it palatable. @mjwd quick history question: would an IPA made in the 1900-10s taste like modern Tui? In recent years many brewers have moved back to putting their beer into cans. For a long time it was seen as a backwards move, as many poorly made beers were put in the cheaper cans. However, cans have a longer shelf life, do nothing to the flavour of the beer, are easy to recycle and don’t break. In fact they protect the beer from its biggest enemy: light. Light can cause an effect called “light strike” that can create “skunk” flavours in beer. Green bottles are the worst for this, brown bottles are better, but cans are the best.